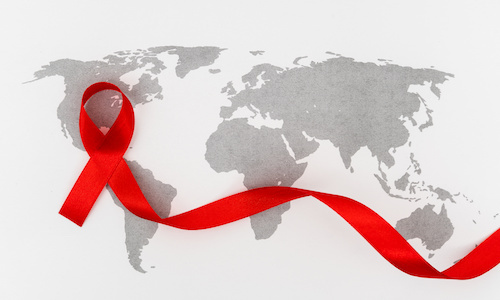 Unfortunately, outbreaks of HIV/AIDS and hepatitis have received prominent attention as collateral damage resulting from the ongoing “Opioid Crisis” in the United States. What is less known, however, is how people living with HIV/AIDS are using opioids, and whether such use is being properly assessed for risk for abuse and/or misuse. And, a new study published May 31 by Clinical Infectious Diseases (CID) suggests that we may have a problem on our hands. The patient cohort study that resulted from the authors’ clinical experiences only reinforced their perceptions. Dr. Colasanti and his colleagues assessed opioid risk behaviors, perceptions of risk, opioid monitoring and associated Current Opioid Misuse Measure (COMM; a measure of potential opioid misuse) scores among 166 people living with HIV and on prescribed chronic opioid therapy (defined as ≥3 opioid prescriptions ≥21 days apart in the past 6 months) receiving care at 2 HIV clinics. According to Dr. Colasanti, he and his co-authors knew from other studies that HIV clinicians “may be reluctant to address unsafe prescription opioid use… for fear of driving patients away, who may otherwise be doing well with regard to retention in HIV care and viral suppression, which HIV clinicians may view as their primary responsibility.” Among the subjects enrolled in their study, they found that alcohol and drug use disorders were present in 17% and 19%—meaning, that abuse/misuse is a relevant concern. In fact, 25% of the study subjects reported that they had previously used opioids illegally. In all, 43% of the study subjects had a high COMM score (≥9). Although 90% of the study subjects were aware that opioids “can be addictive,” only 30% of them had an opioid treatment agreement, a commonly used tool in pain management designed to mitigate abuse/misuse risk. To explore this issue further, a subsequent randomized control trial is in the works; in part, it will assess whether “placing a nurse case manager in a role to oversee and guide much of this monitoring and provide clinicians with additional academic detailing around chronic pain management and/or monitoring will prove an effective mechanism to improve this process for both patients and clinicians alike,” he added. Notably, within the patient cohort for the CID study, 66% underwent routine urine drug tests and only 12% were subject to regular pill counts, both of which are commonly used techniques for monitoring for abuse/misuse. At least among the study subjects, Dr. Colasanti et al found that patient satisfaction remained high, even when these abuse/misuse risk management tools were being used. Indeed, the relationship between the opioid epidemic and certain infectious diseases has already been well documented. If the results of the CID study are any indication, it’s at least in part up to ID specialists to ensure that the related challenges don’t get any worse.